If you’re a big fan of catfish like we are at Mullins Farms, and are super excited about National Catfish Day, you have President Ronald Reagan to thank. In 1987 President Reagan issued a Presidential Proclamation declaring June 25th to forever be National Catfish Day – a day to celebrate the value of farm-raised catfish. More and more Americans are discovering a uniquely American food delicacy — farm-raised catfish. In 1986, catfish comprised the third highest volume of finned fish consumed in the United States. Ninety-nine percent of all these catfish were farm-raised. Between 1975 and 1985, production of farm-raised catfish increased by 1200 percent. Most observers expect that production will continue to increase in 1987. Production costs of catfish farming, which have averaged only 65 cents per pound over the past 8 years, have resulted in a stable income for growers and an economical food product for consumers. The accompanying growth of the catfish processing industry also has created thousands of permanent jobs. 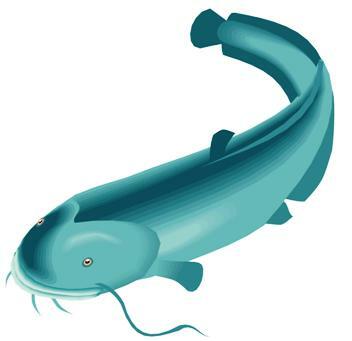 In recognition of the value of farm-raised catfish, the Congress, by House Joint Resolution 178, has designated June 25, 1987, as “National Catfish Day” and authorized and requested the President to issue a proclamation in its observance. – Catfish are 99% farm-raised. – Highest volume finned fish consumed in the United States. Catfish can be prepared in a variety of ways, including baked, barbequed, blackened, fried, and grilled. My favorite is fried, of course; I’m a true Southern girl when it comes to catfish! Pinch of of black pepper. 2 medium eggs, lightly beaten. 1 cup of dry breadcrumbs. Heat oil to 375°F in your deep fryer. Stir together the flour, salt and black pepper. Coat the catfish with the mixture; dip into eggs; then coat with breadcrumbs. Fry each piece for about 4 minutes or until golden brown. This entry was posted on Sunday, June 3rd, 2012 at 10:21 PM	and is filed under Misc.. Both comments and pings are currently closed.